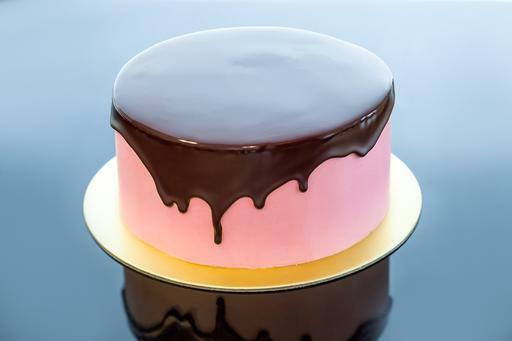 Valrhona chocolate cake with strawberry buttercream, drizzled with dark chocolate. A taller (3-layers or more) Melissa looks better and is highly recommended! Please note: We've removed the rum in this cake.